The dime-sized frog with bloodshot eyes stood still as it contemplated its next move while two pairs of eyes peered at it intently. My guide held up his palm animatedly, as if he had just been asked by a child to freeze momentarily. Then very slowly in a thick Malayali accent, he mouthed the words ‘Pa-ram-bi-kul-am Fro…g’ and twitched his eyes in that direction. It was enough to send the tiny amphibian scurrying into the foliage, but not before a few photographs had been clicked. We were deep within Parambikulam Wildlife Sanctuary at a forest camp at Kuriarkutty on the banks of the Parambiar River. Here Dr. Salim Ali had spent 3 years (1936-39) watching hornbills. In commemoration, a bird’s gallery and audiovisual programs marked the Salim Ali Bird Interpretation Centre. 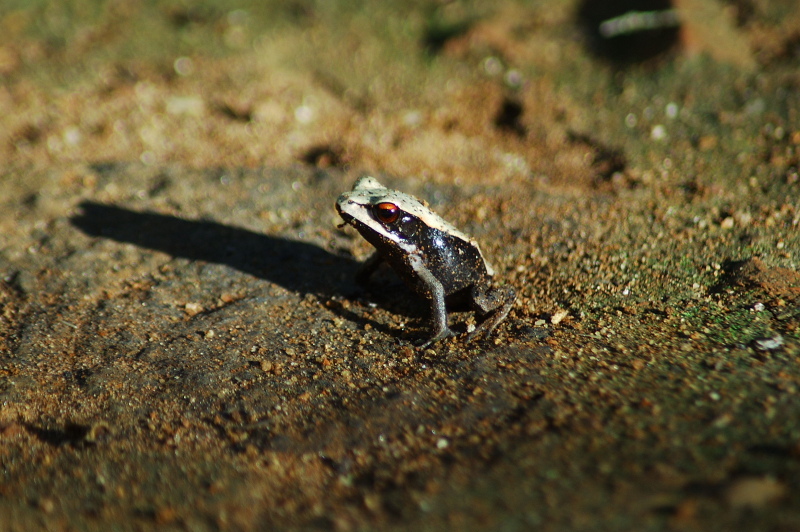 It was on hallowed ground we had seen the Parambikulam Frog (Tomopterna parambikulamana), a creature so range specific, it was endemic to the sanctuary. 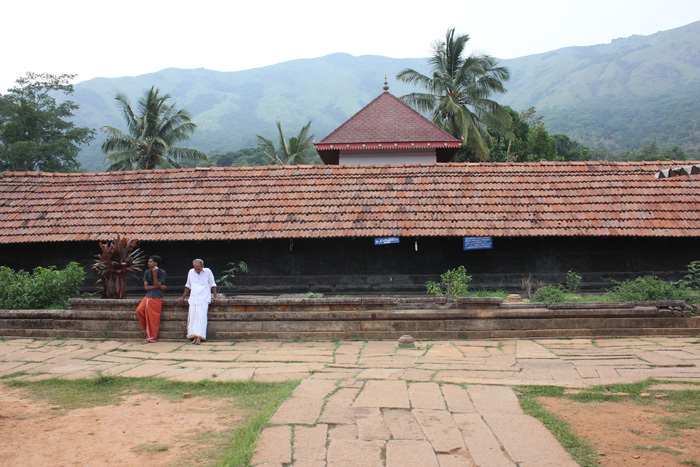 There was good reason why Parambikulam made it as one India’s 39 claimants to the UNESCO World Heritage tag. 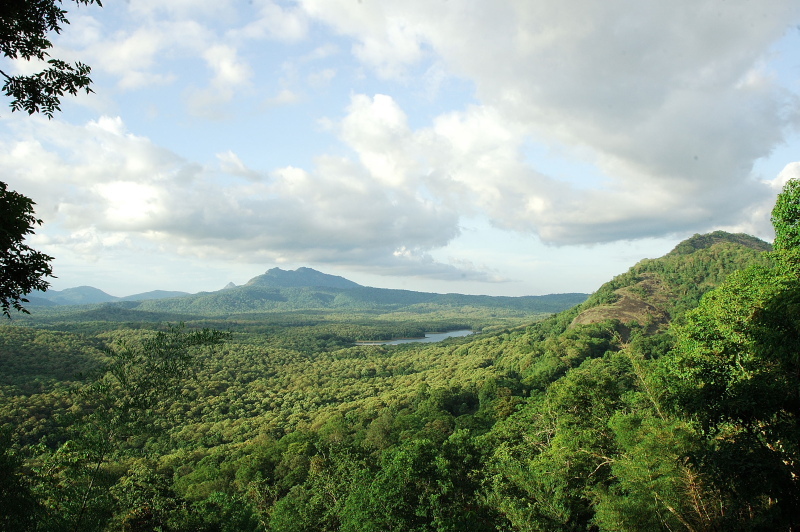 Located just south of the Palakkad Gap in the Western Ghats, it has been the scene of many scientific rediscoveries. Koori (Haplothismia exanulata), a saprophytic plant occurs only in heavy monsoons during the ‘climatic climax’, when weather conditions are ideal for its growth, yet its dependence on ideal conditions makes its life span tragically short. After a long gap, it was found here in 1951. The park boasts 285 such rare, endemic and endangered plants, 1438 flowering species and 81 species of orchids. 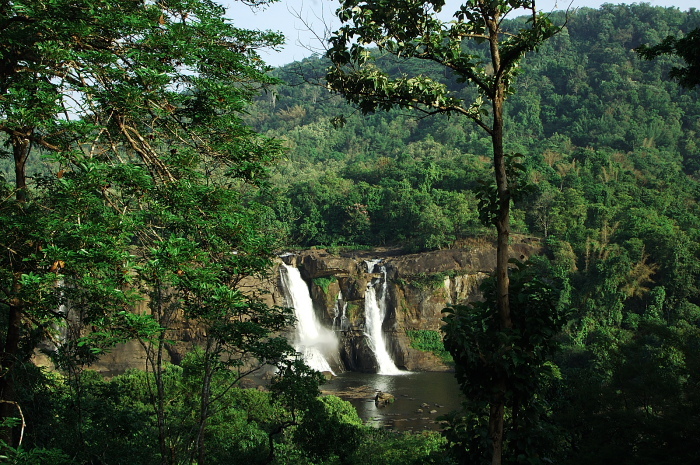 The rivers teem with 47 fish species, including the endangered Mahseer and Garra surendranathanii, a ray-finned suckerfish endemic to the Chalakudy River. After seeing the park’s namesake species we retired to our Treetop Hut overlooking Thunakadavu reservoir with a great sense of achievement. The next morning we set off on a wildlife safari to Sungam range, the forest track leading us 6.8 km to the Pride of Parambikulam – the Kannimara Teak. Literally, the ‘first tree’, the lone 450-year-old specimen dated back to a time when natural teak forests covered the entire area. Rising up to 48.5 m with a girth of 6.57 m, it took five people with arms outstretched to encircle it completely. 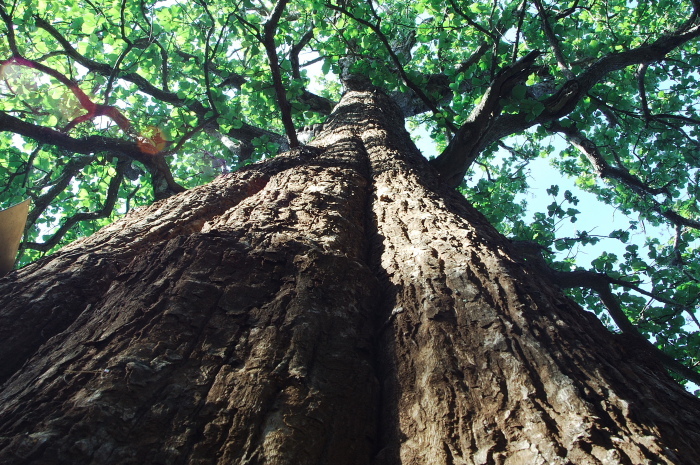 One of the oldest and largest ‘natural’ living teak trees in the world and the largest in Asia, the tree was awarded the ‘Mahavriksha Puraskar’ by the Indian Government in 1994. During the 19th century the British had felled most of the original teak forests for timber by exploiting local tribal labour. Massive tree trunks were taken to the ‘top’ of the mountain slope and allowed to ‘slip’ down into the river, the practice eventually giving the place its name. 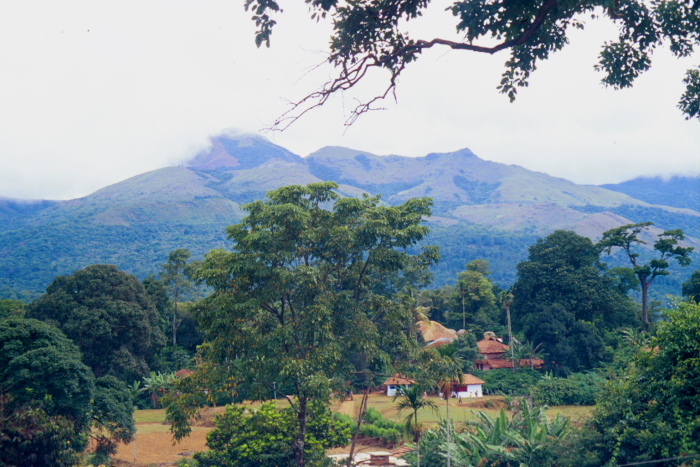 Top Slip currently forms the tourism zone of Tamil Nadu’s Indira Gandhi Wildlife Sanctuary on the eastern slope of the Western Ghats. In 1905, a more efficient system was devised. The Cochin Forest Tramway directly transported teak from Parambikulam to Chalakudy before shipping it to the rest of the world from Cochin Harbour as Cochin Teak. Ironically, it was the revenue generated from Parambikulam teak that led to the development of present day Cochin Port. 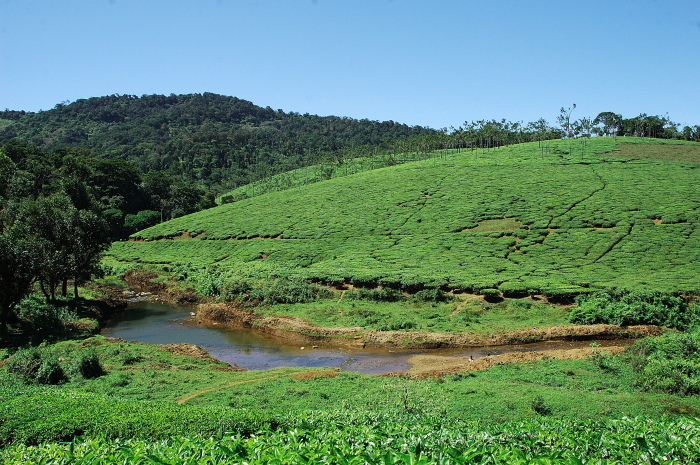 Contiguous with Anamalai Sanctuary, the undulating park spread around seven major valleys and three river systems, dammed at Parambikulam, Thunakadavu and Peruvaripallam under the Par-Alayar Project in the 1950s. The 20.6 sq km reservoir harboured several aquatic fauna, including muggers, which often looked like sun-dried logs peeping through the water. Besides rowboats and bamboo rafting on the reservoirs, the active Forest Department organized a daylong Parambi Cruise in a Tribal Bamboo Houseboat, with on-board snacks and packed lunch. The forest road climbed up the hillside to Dam View, a scenic vantage over the deep blue waters of Thunakadavu bracketed by Pandaravarai (1290 m) and Kuchimudi peaks. Valley View offered a sweeping glimpse of the picturesque Parambiar Valley, marked by the peaks of Kalynathy (1385 m) and Karimala (1439 m), the park’s highest point. We took an exhilarating boat ride in the reservoir to Veetikunnu Island, a cane forest bungalow located on a hilly islet (kunnu) of veeti (Sisam or Dalbergia latifolia). For the true wildlife enthusiast, there was no dearth of things to do at Parambikulam with eco-tourism packages like overnight camping inside the forest, Full Moon Census or hiking 8km to an old Inspection Bungalow for Thellikal Nights. 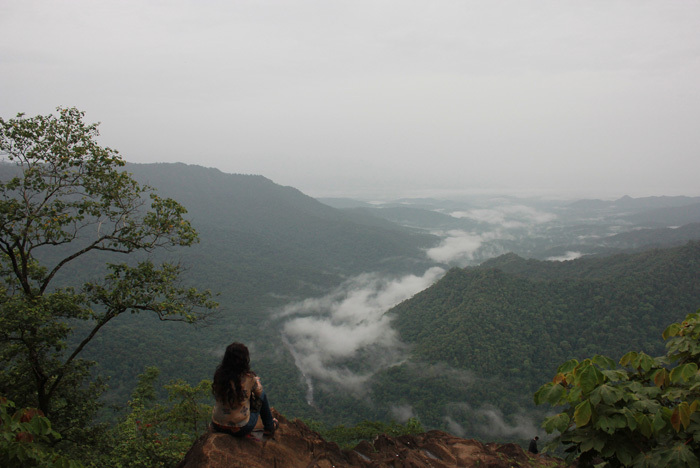 Guided treks included the Kariyanshola Trail, Hornbill Watching, Pugmark Trail and the scenic Cochin Forest Tramway Trek to Muthuvarachal. 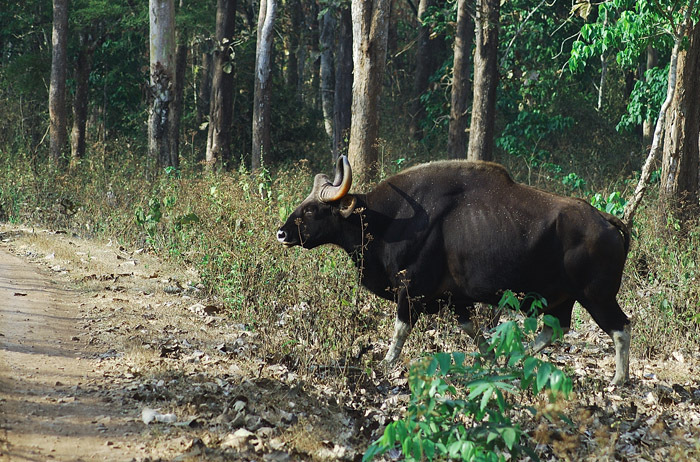 Driving around Parambikulam was always rife with the possibility of a gaur, the park’s mascot, crashing through the undergrowth or a chance leopard sighting. Home to an impressive faunal array, Parambikulam harboured 39 mammalian species, including tiger, leopard, jungle cat, fox, bear, elephant, gaur, Nilgiri tahr, pangolin, loris and primates like bonnet macaque, Nilgiri langur and lion-tailed macaque. Of the 274 birds, Black-capped kingfisher, Broad-billed roller, Black woodpecker, Ceylon frogmouth, Malabar pied hornbill and Small pranticole were notable species. The park was home to four adivasi communities – Kadar, Malasar, Muduvar and Malamalasar, who had been resettled in six colonies. 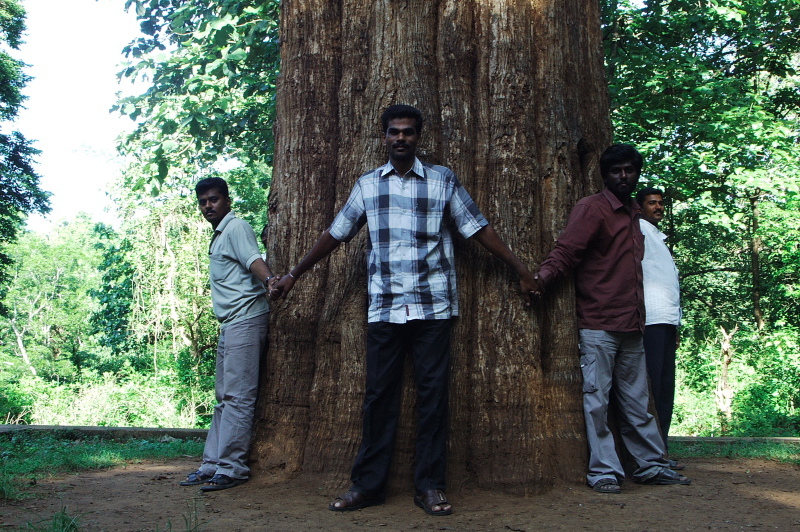 Their indigenous knowledge made them critical partners in the eight EDCs (Eco-Development Committees) at Parambikulam. Even today, the scattered dolmens (flat memorial stones) of the tribal headmen still stand testimony to a time when man and beast lived in harmony in these forests. 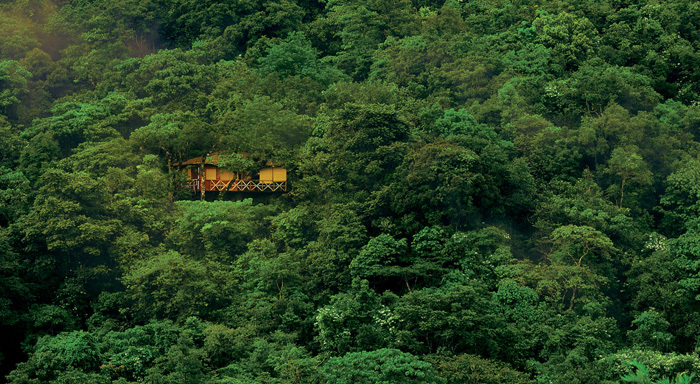 The Forest Department at Parambikulam Wildlife Sanctuary offers a wide range of accommodation options (Rs.2,500-5,000/day for 2-5 people). 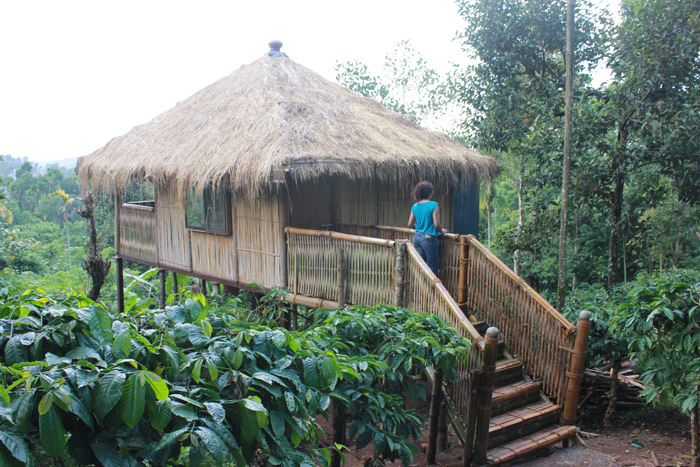 The two scenic Treetop Huts with double beds and attached baths in the reserve forest area overlooking the reservoir at Thunakadavu and Parambikulam are much sought after and have to be booked in advance. Elephant Valley Lodge at Thunakadavu and Bison Valley Lodge at Parambikulam have three double rooms each. Tented Niche, seven Swiss-style tents lie in a shady grove at Anappady. 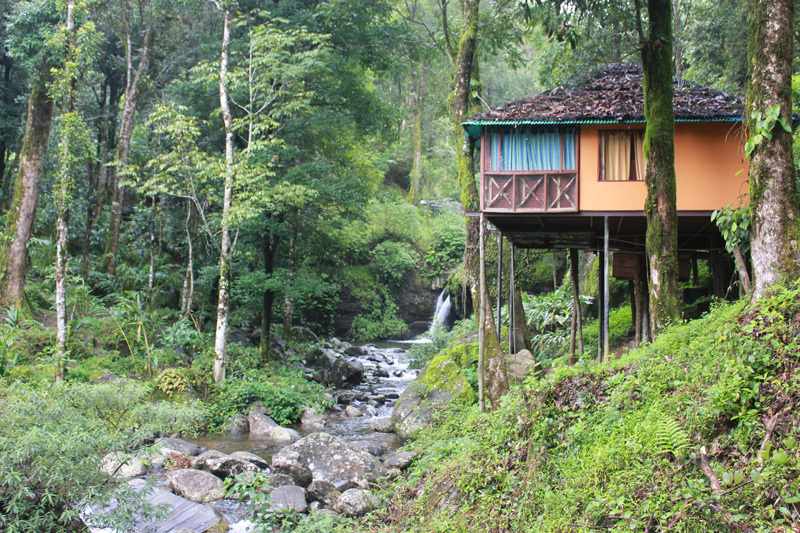 Anappady also has a Mahseer Dormitory for 40 people while Tiger Hall at Parambikulam can lodge 20; ideal for backpackers. 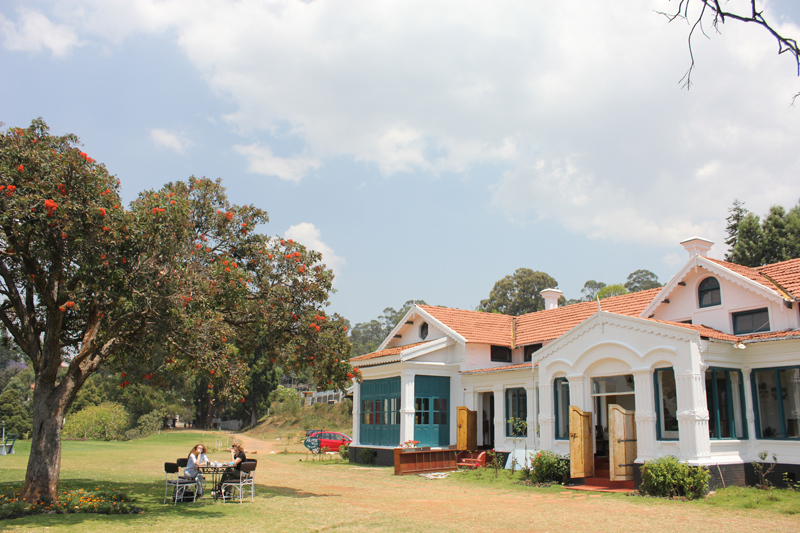 Birdwatchers can stay at the Salim Ali Centre at Kuriarkutty, which has a hall for 10 people. 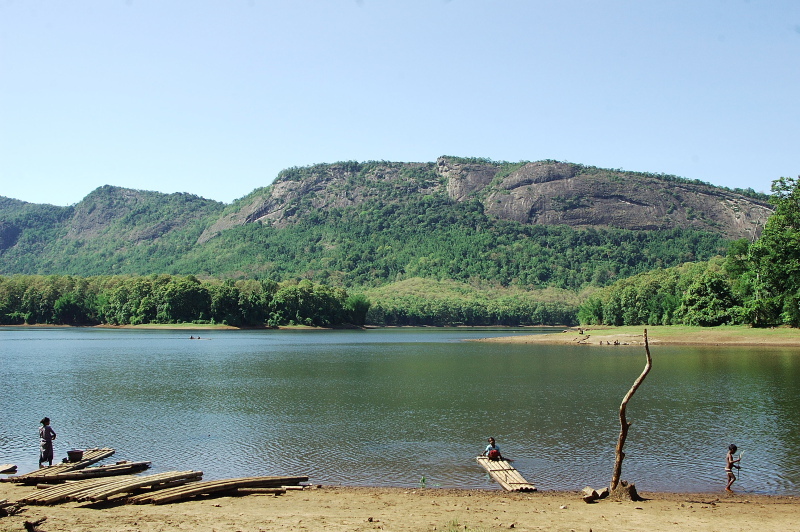 For a little privacy try Vettikunnu Island Nest on Parambikulam reservoir, a secluded island accessible by boat with stay in a renovated wireless station (6 people). 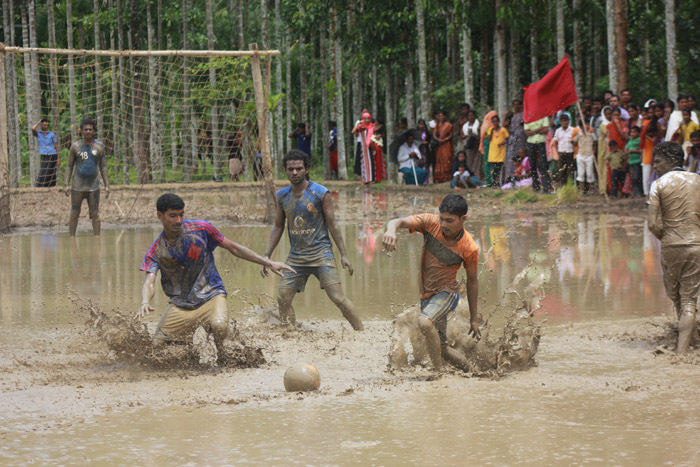 Bay Owl Shed at Bagapallam, Tahr Shed at Vengoli and Cane Turtle Shed at Thuthanpara accommodate five people each. 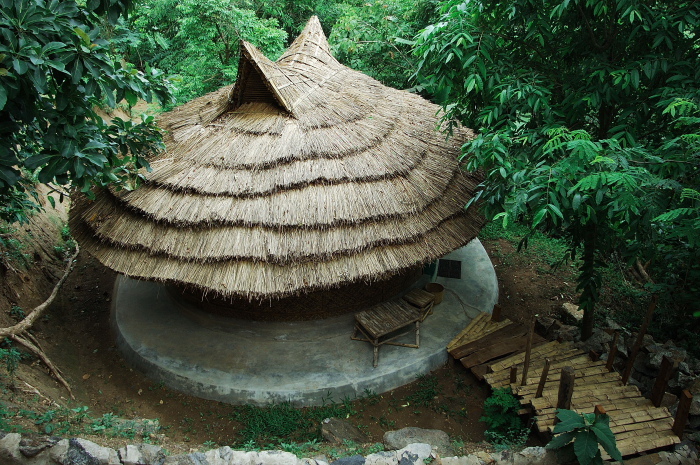 Overnight camping is possible at Sambar Machan at Kuriarkutty, Peacock Machan at Vengoli and Cheetal Machan at Anakal Vayal with five beds each. Two guides accompany the group and arrange packed food for a fee. Being a wildlife preserve in an isolated pocket, eating options are few and basic. Parambikulam, the last settlement where the road ends, has a few eateries and Hotel Everest (Ph 04253-277 235) is the pick of the lot. South Indian staple like idli and dosa are on offer for breakfast while meals with fish fry and chicken curry are popular for lunch and dinner. It’s best to order food in advance. Sree Hotel (Ph 04253-277 217) and Sri Lakshmi Hotel (Ph 04253-277 234) are other options. 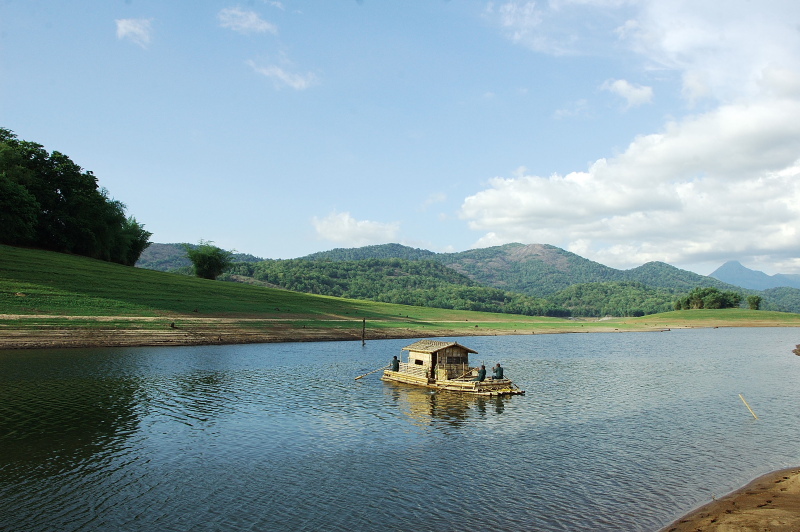 The Eco-Care Centre at Anappady sells park memorabilia like T-shirts, caps, picture postcards and stickers as well as bottles of honey and jam. 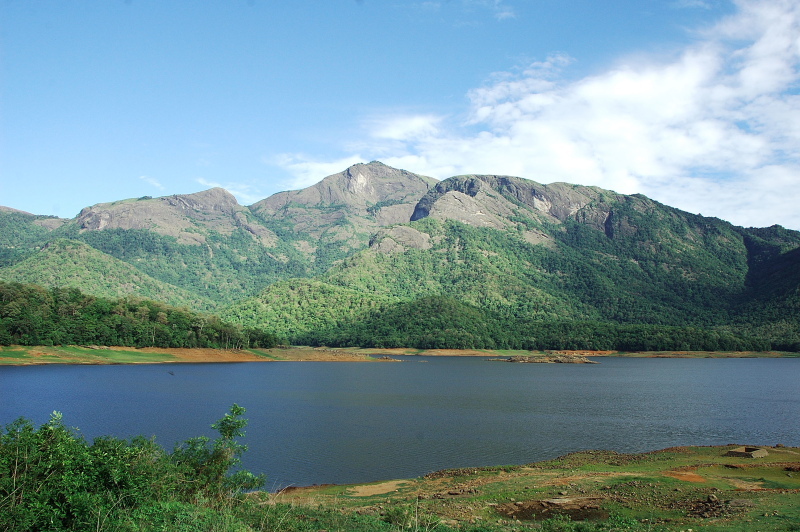 Location: Situated in South East Palakkad, Parambikulam lies in the valley between the Anamalai ranges of Tamil Nadu and Kerala’s Nelliyampathy ranges of the Western Ghats. 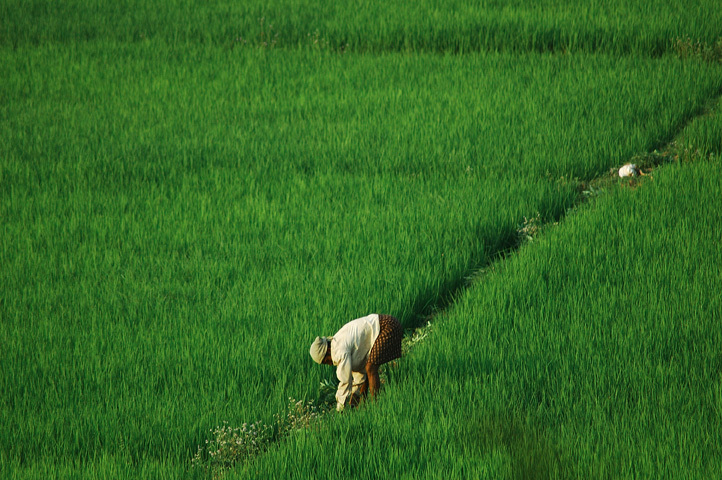 Climate: Mostly cool and damp interspersed with light to heavy drizzles around the year. 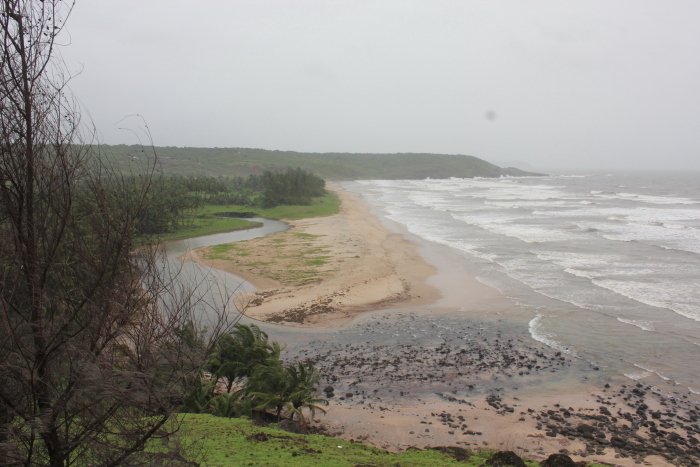 Heavy rains lash the sanctuary between June-August. Eastern areas get more rain during Oct-Nov. Temperature ranges from 15 C to 32 C and drops substantially at dawn and dusk. 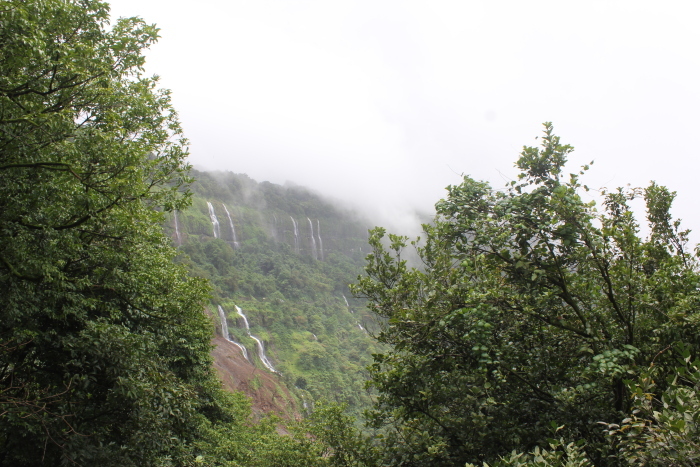 When to go: Unlike other parks, in the rains, the Forest Department also organizes Monsoon Tourism from June-August, though the best time to visit is September to March. By Air: The nearest airport is Coimbatore, 100 km away, also an important rail link. 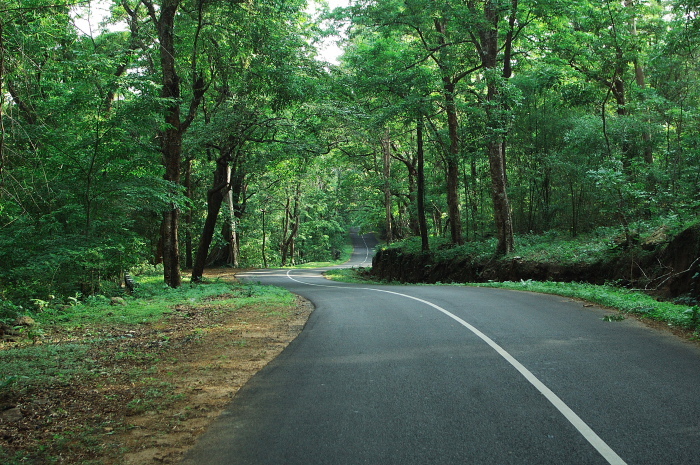 By Road: Parambikulam is 98 km from Palakkad. There is regular bus service from Pollachi (6 am, 3 pm) to Parambikulam via Anamalai (2 hrs) and Top Slip (11:20 am). From Palakkad, drive south to Kollengode, get on to Pollachi road and turn right from Ambrampalayam towards Anamalai, Sethumadai, Top Slip, Thunakadavu and Parambikulam, each place 12 km from each other. The Parambikulam Office Headquarters at Anappady is 4 km from Top Slip. The nearest petrol pump and ATM outlet are at Vettaikaranpudur, 23 km from Anappady. Author: Anurag Mallick. This article appeared in the Sep-Oct 2012 issue of Saevus Wildlife magazine. 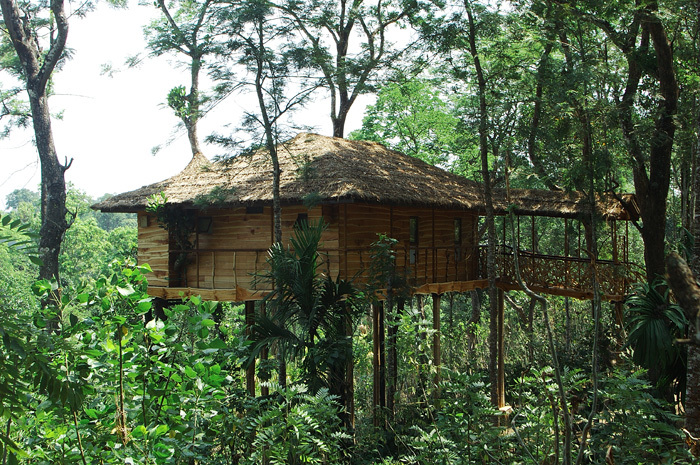 Perched 60ft above a lush canopy of rainforests, the tree houses at Vythiri Resort are easily the best in the country. 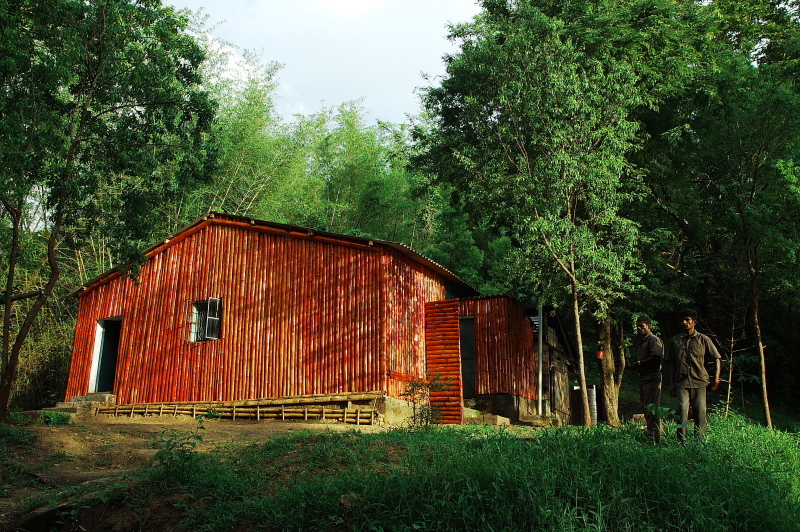 Built by indigenous tribals with locally sourced materials, the five luxurious cottages run on solar power and utilize natural spring water flowing down the hills. 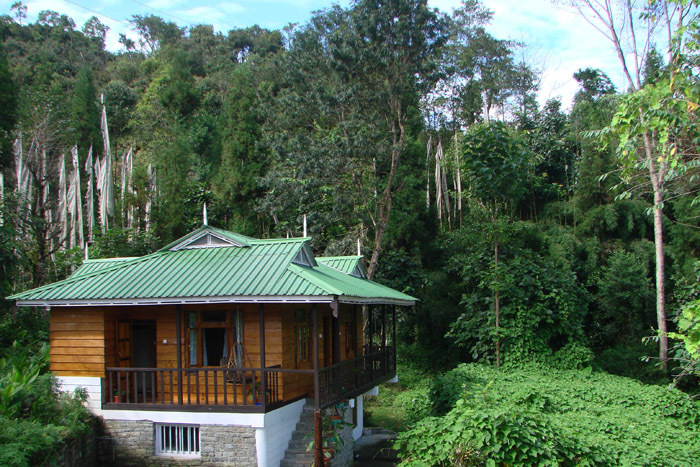 At Tranquil Plantation Hideaway, stay in the luxurious Tranquilitree, built on a gulmohur with a superb view of the 400-acre coffee estate, or the 35ft high Serenetree villa on stilts, overlooking the plantation. 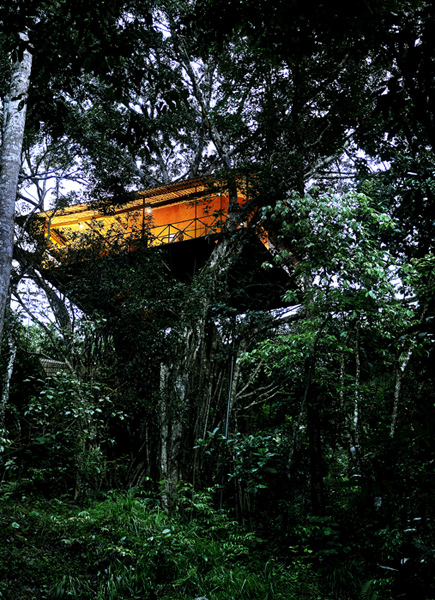 At Wynberg, opt for the luxury tree top perch on a ven-teak tree, 18 ft off the ground. 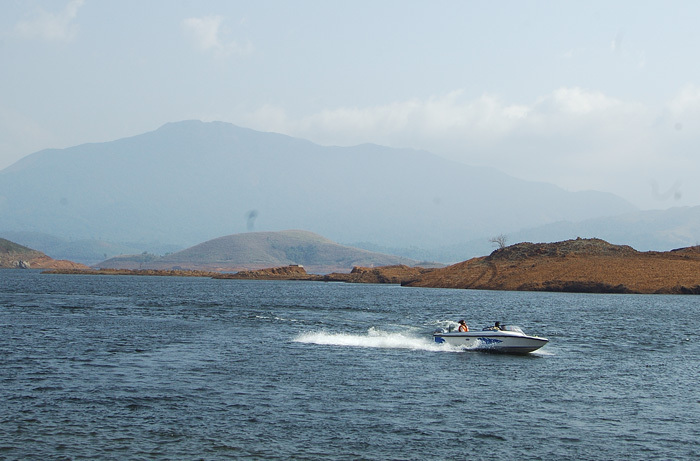 Located in the shadow of Banasura Hill, Banasura Sagar is India’s largest earth dam and the second largest in Asia. 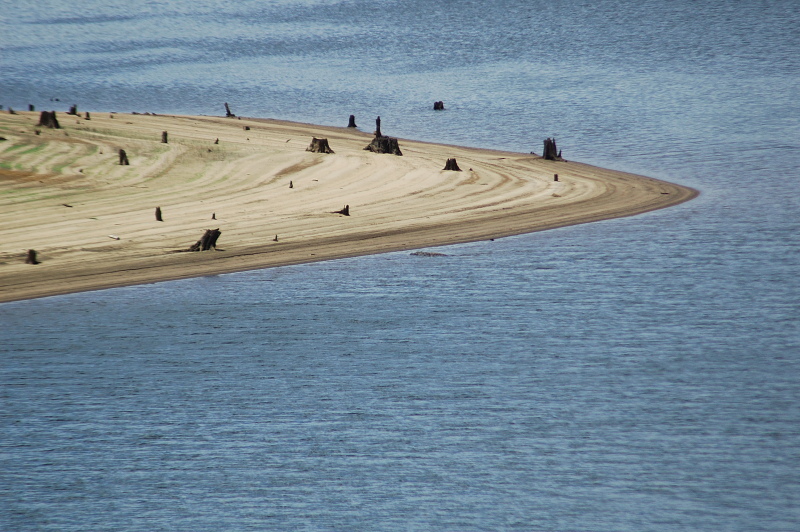 Spread over 1700 hectares, 19 islands dot the reservoir. It is magical after the rains when the dam is full and the surrounding hills are cloaked in green. 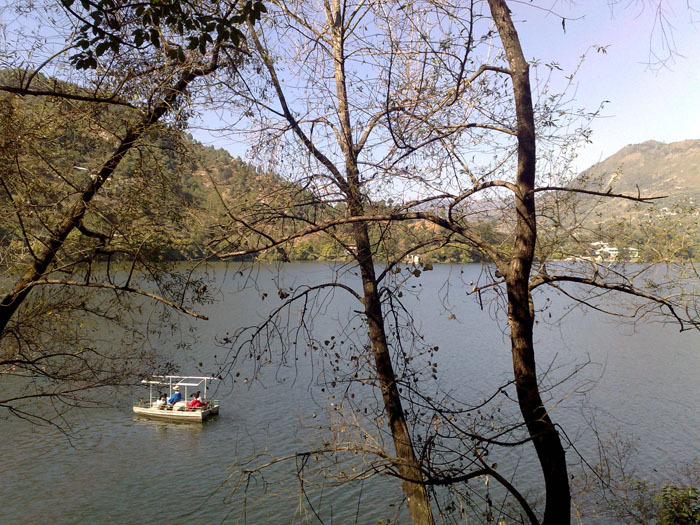 Indulge in Hydel Tourism with pedal boats or speedboat rides while staying at the luxurious Silver Woods Resort. 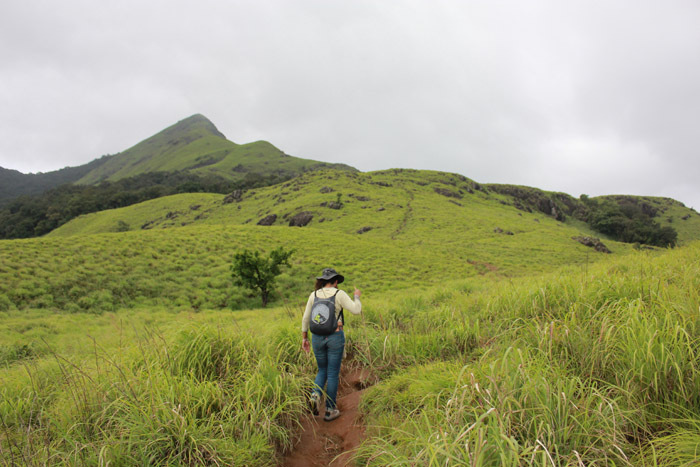 For a traditional Kerala experience and scenic views, try Banasura Island Retreat, an ideal base for treks to Banasura Hill. Location: 21km from Kalpetta towards Mananathavady via Padinharathara, 3 km from the dam. 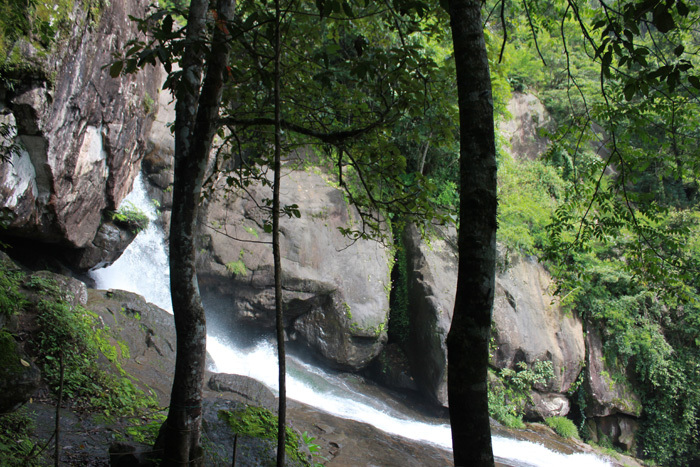 One of the most attractive falls in the district, Soochipara is a three-pronged cataract located in a forest. The water hits the sharp spikes of granite at the base, hence the name Soochipara or Needle Rock. 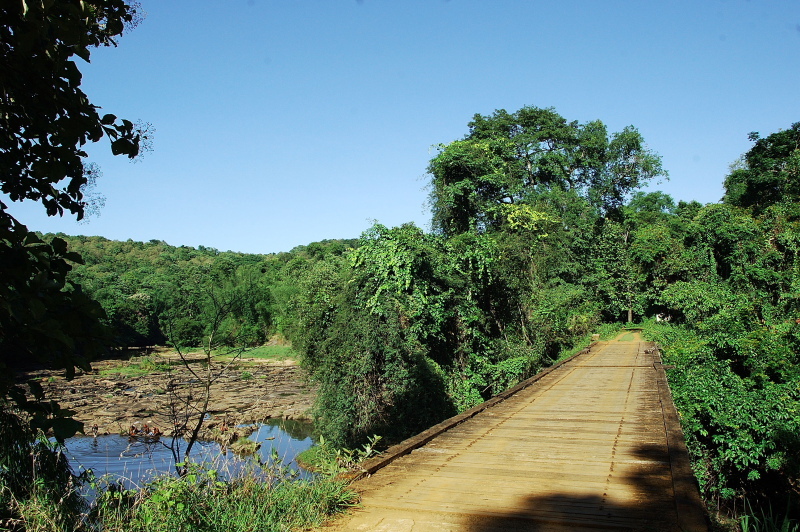 Nearby Kanthampara is fed by a breakaway stream from the main water source. 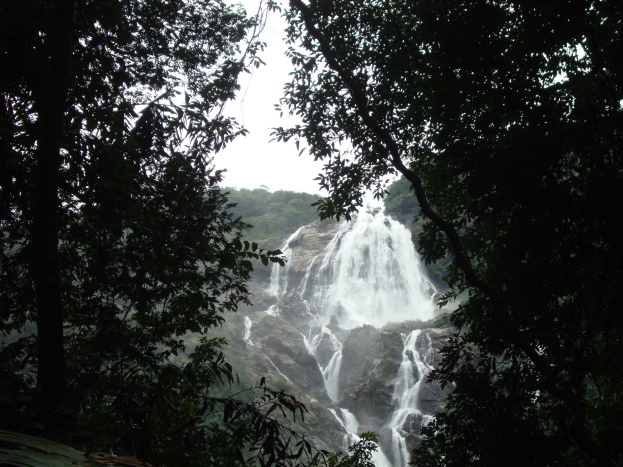 Meenmutty Falls near Vaduvanchal is a 1½km hike from the roadhead. 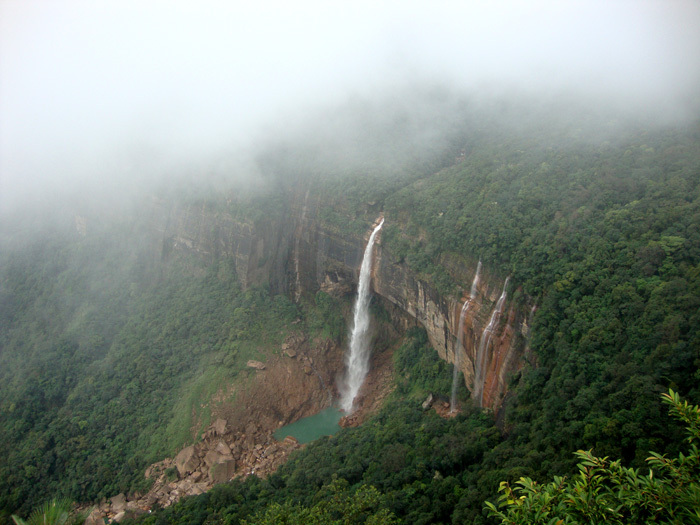 Base yourself at Meenmutty Heights or Sunrise Valley to enjoy this 300m high cascade. 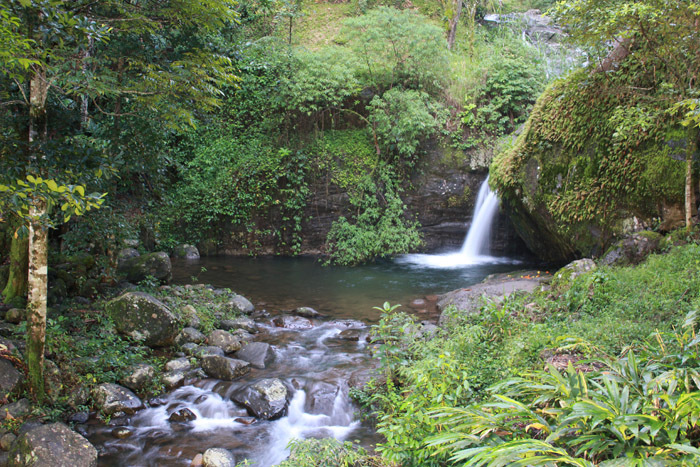 And don’t miss the Little Meenmutty waterfalls at the base of Banasura Hill. 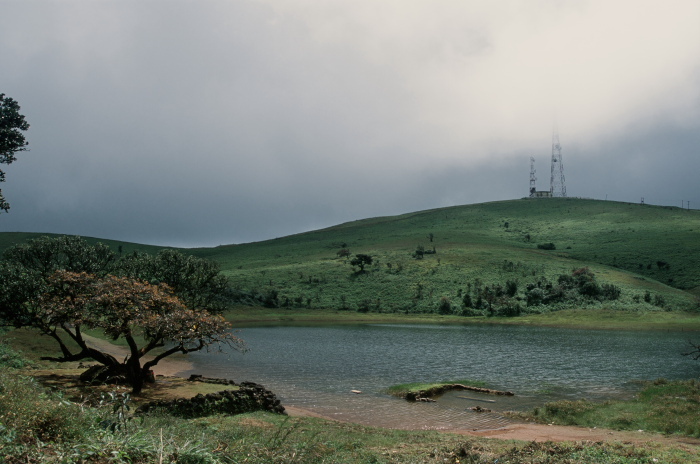 At 2100m, Chembra is Wayanad’s highest peak. 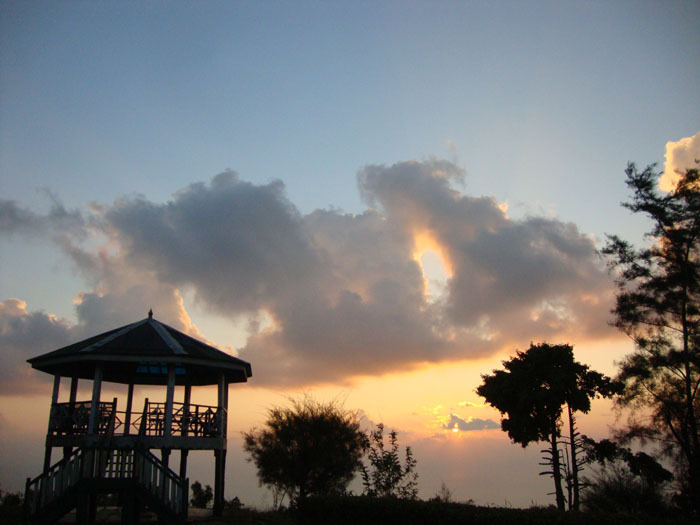 And only those who make the effort to climb it can enjoy the sight of Hridaya Saras, the heart-shaped lake. 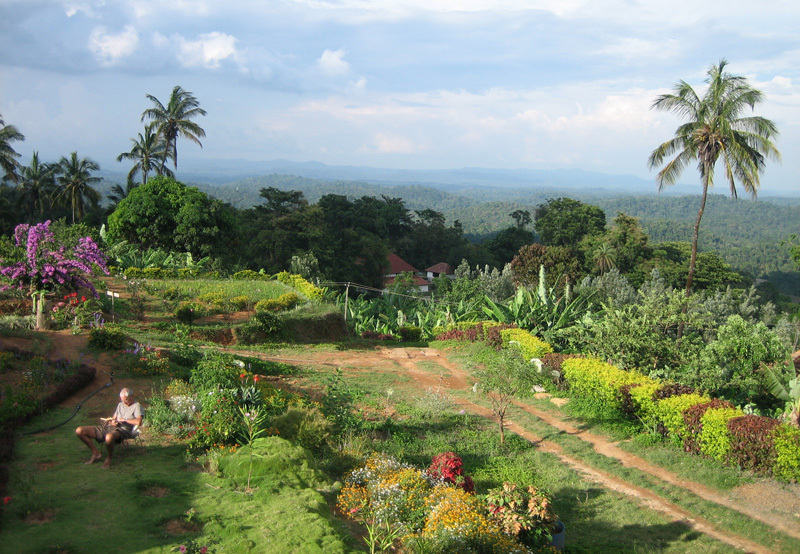 Permits are given at the VSS Office, 2km from Meppady town and a 5km hike through a tea estate leads to the watchtower. 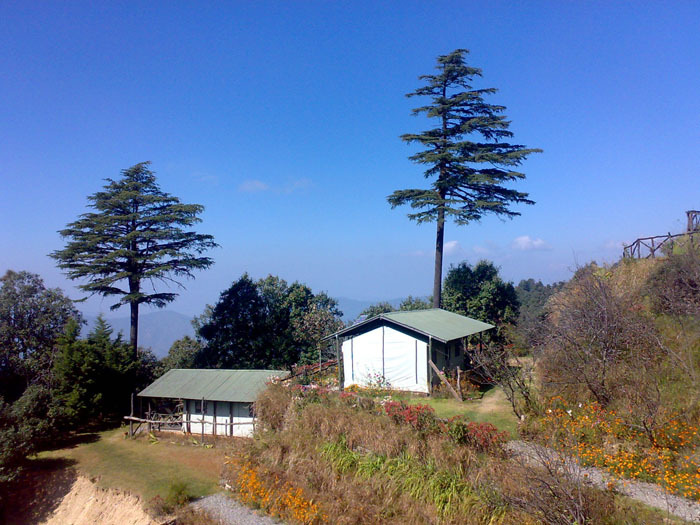 The 3.5km trail through forests and grassland over a series of five hills leads to the misty summit, which offers a spectacular view all around. For multiple day treks and other adventure activities, contact Muddy Boots. Reachable after a 1km uphill trudge through a coffee estate, Edakkal Cave is one of India’s most important prehistoric rock shelters. Some wall etchings belong to the Neolithic Age (4000 BC) while another set of drawings date back to the Megalithic age. 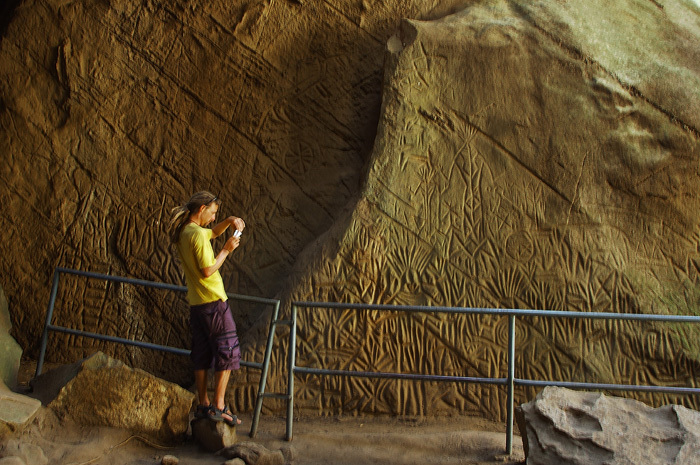 The second cave, 98 ft long, 30 feet wide and 93 feet high is rich with carvings of a chieftain, wild animals and an ‘I was here’ sign in Brahmi script. 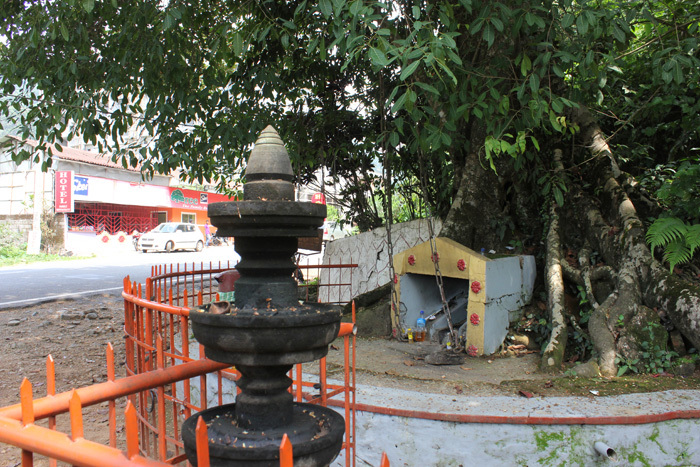 The shelter was used by various people at different points of time – a dancing lady (3000 BC), lady on pushcart (300 BC), a 1st century Pali inscription ‘Sri Buddha’ and a 15th Century Star of David. The trail continues past the 4000 ft high cave to the top of Ambukuthy mountain. Edakkal Hermitage with cottages built around the boulder-strewn hill, has rooms named after Palaeolithic cave sites, besides a unique Cave Restaurant for candle-lit dinners. Beyond the misty ghats of Lakkidi near Vythiri stands an unusual tree. 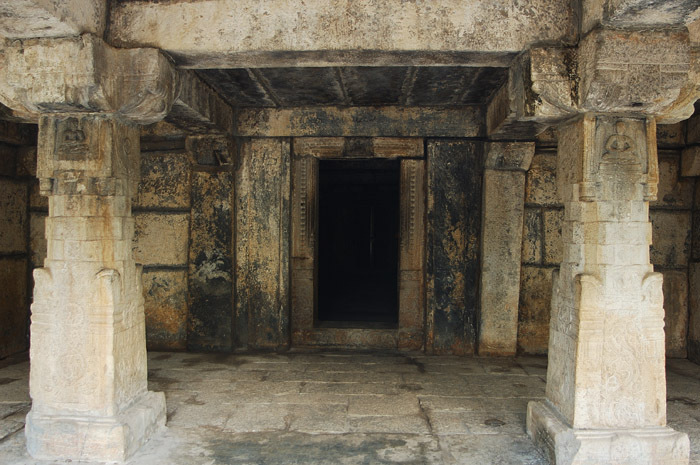 Local legend has it that a young tribal named Karinthandan guided a British engineer to find a passage through the treacherous Thamrasseri Ghat. Unwilling to share credit for the discovery, the Britisher killed the native. When Karinthandan’s troubled spirit began haunting travellers, a priest was summoned to pacify the soul, which was chained to a tree. The heavy shackles can still be seen draping the branches of the famous Chain Tree. 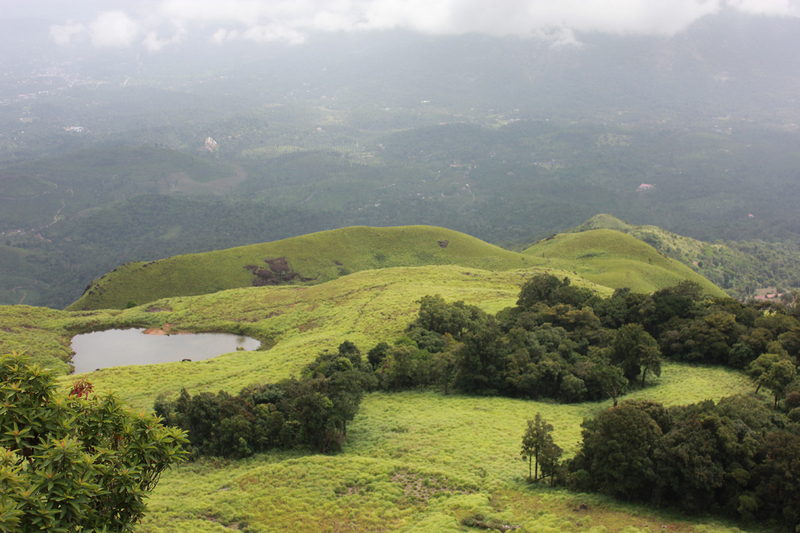 Spread over 344.44 sq km, Wayanad Wildlife Sanctuary comprises Tholpetty in the north and Muthanga in the southeast. Part of the Nilgiri biosphere Reserve and a Project Elephant site, Muthanga is great for elephant sightings, often in the thick bamboo groves flanking the main road. 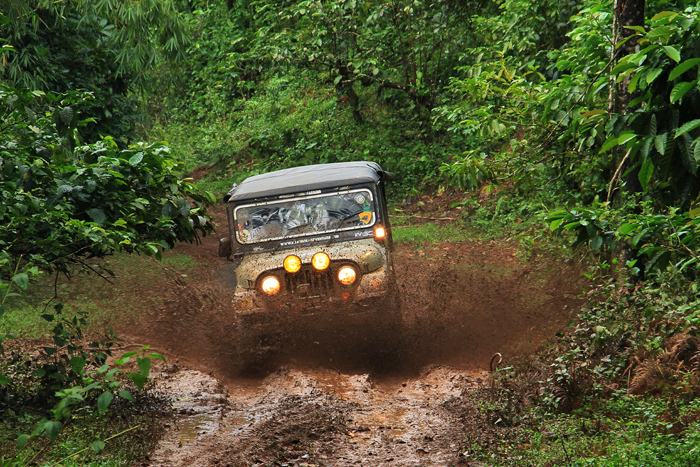 The terrain is undulating with scattered hillocks and private jeeps and Forest Department mini vans offer wildlife safaris. 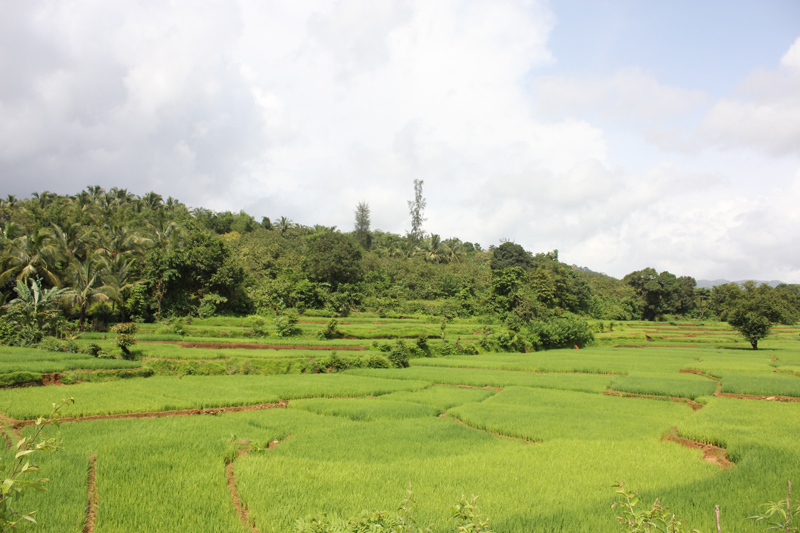 Location: Muthanga is 18 km west of Sulthan Bathery. Set in a stunning amphitheatre of four hills, Thirunelly was created supposedly by Lord Brahma as a divine centre to counterbalance the world’s excesses. He received a vision of Lord Vishnu under a holy gooseberry tree (thiru nellikai) and three of Vishnu’s nine avatars visited the place in different ages – Parasurama, Rama and Krishna. Devotees take a dip in the Papanashini (Destroyer of Sins) river and make offerings for the emancipation of the dead. The temple is serene and the surrounding forests a trekker’s paradise. The rock cave of Pakshipathalam is a haven for several birds and bats. 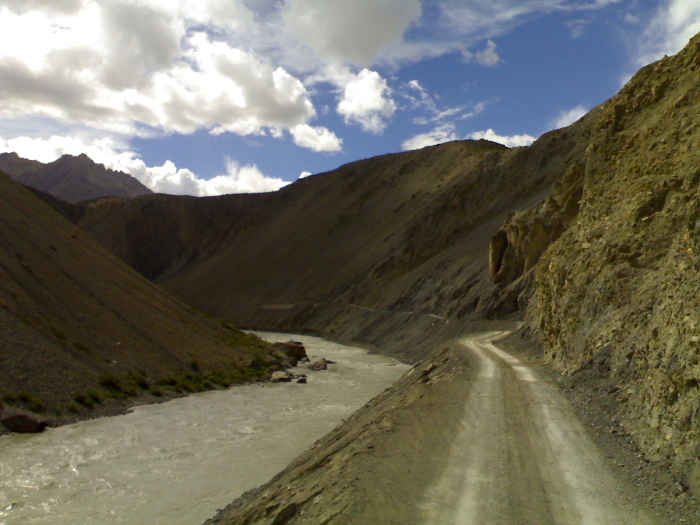 Trekking permits are issued by the forest department while DTPC arranges guides and camping equipment. 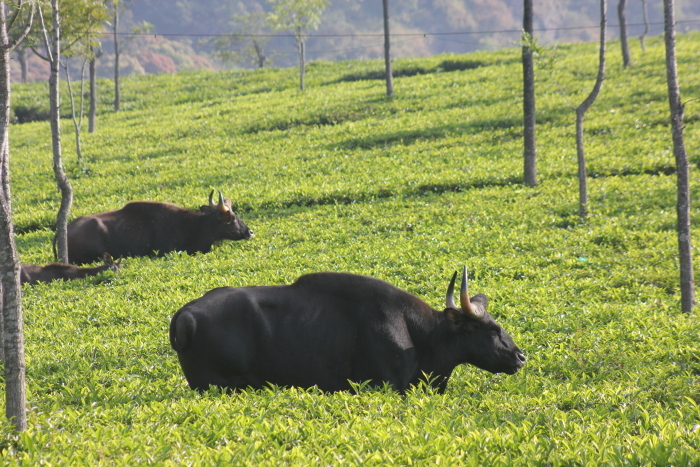 The serene Thirunelli Agraharam cottages are an ideal base. In the 18th century, Tipu constructed a small bastion and erected a watchtower on the outskirts of Ganapathivattom. When hiding ammunition for his forces became a problem, the wily Tipu cleared the idols of a 14th century Jain temple to stock his armoury but retained the façade to hoodwink the British. The place was thus called Sultan’s Battery or Sultan Bathery. The Jain temple is well preserved, barring the missing deity. 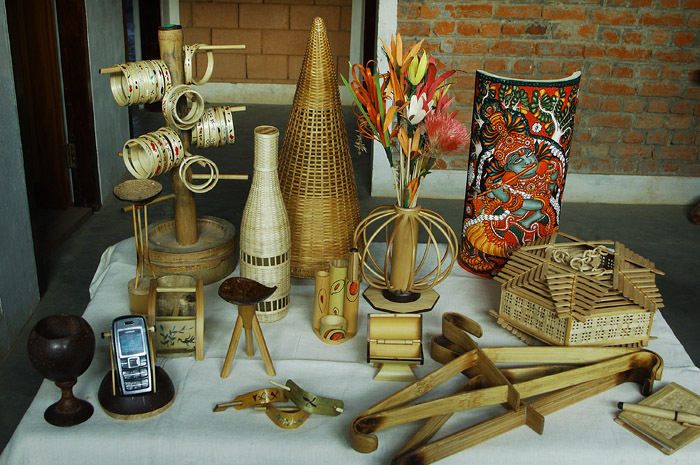 Uravu, a bamboo processing training and design center near Kalpetta helps rural artisans, women and tribals to commercially use bamboo, found abundantly in Wayanad. Drop by at their store to buy spice boxes, lampshades, handicrafts, innovative utility products, binsi (a hollow reed that whistles when swung) and Rainmaker, (seeds cascading through hollow bamboo to emit sounds of rain). Authors: Anurag Mallick & Priya Ganapathy. 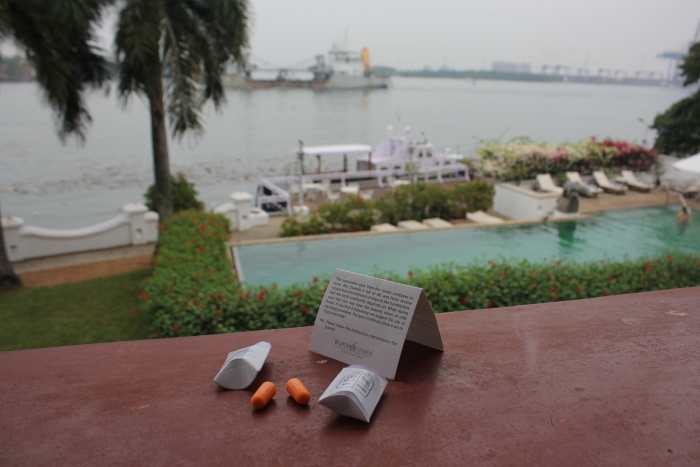 This article appeared on 17 August 2012 in Conde Nast Traveller online.